BANGALORE, DEC. 25. The Kannada Development Authority has offered to assist madrasas to teach Kannada to their students who are now taught Urdu and Arabic. Those in rural areas have already evinced interest in teaching Kannada and those in urban areas are likely to follow it. The authority chairman, B.M. Idinabba, said the authority had told the madrasas to hold Kannada classes and assured them of assistance. Although slow to take up teaching of the language, the authority has been getting encouraging response to its offer from madrasas in rural parts. Their response will improve and Muslims will use the opportunity to learn the language, he said. Asked about media reports that the authority has not been active, Mr. Idinabba said: “I am neither new to the authority nor is it a powerful body. That the authority has not been making news after I became its chairman is the crux of the criticism against it.” Making news is not the purpose and aim of the authority. It has been doing its job. Schemes that could not be started during the tenure of my predecessors have been launched. Issues such as implementation of the Mahajan Committee report on the border row, the Sarojini Mahishi Report on providing employment to Kannadigas in public sector units in the State and the demand for establishing a High Court Bench in North Karnataka were there for over two decades, he said. Like his predecessors, he had urged the Government to take up long-pending problems in the interest of the State and its people. The other important issue was use of Kannada in the administration. 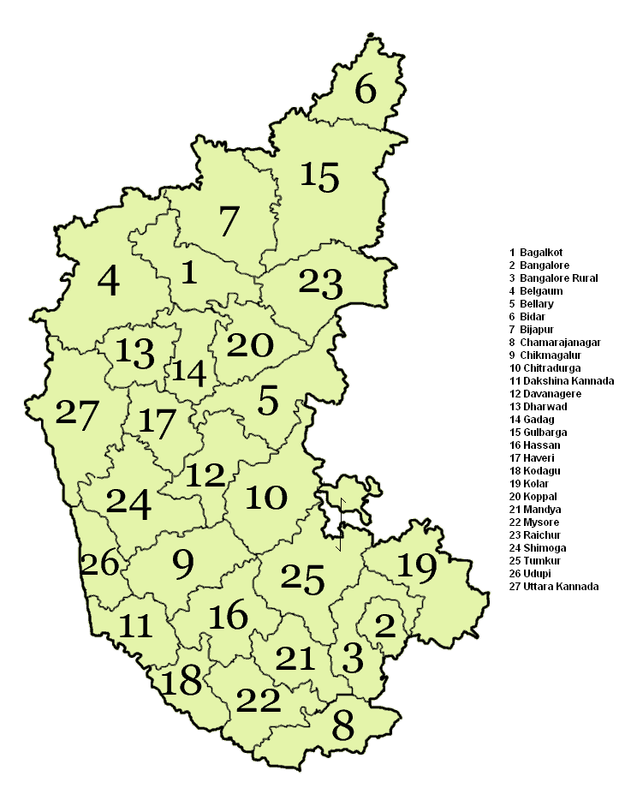 In the past 16 months, he visited 19 districts and reviewed the progress in the adoption of Kannada, he added. On the issue of securing classical status for Kannada, Mr. Idinabba, former MLA, is of the view that the Union Ministry of Human Resource Development has overlooked the language. There are arguments that the Government has to follow some procedures to get the classical status for the language. MYSORE Oct 21: In a tough stand, Chairman of Kannada Development Authority on Friday said the varsities in the State would face serious consequences for lapses in Kannada implementation in administrative affairs. Speaking after releasing the Kannada-English Dictionary brought out by the University of Mysore at the Kuvempu Institute of Kannada Studies, he said all universities were bound to conduct their administration and official correspondence in Kannada. It will apply to all departments, he added. “The authority will have to act against the universities which show reluctance or apathy towards implementation,” he said and added that the University of Mysore could be a model for other varsities in implementing Kannada in administrative affairs. Guardians of Kannada, backed by government organisations, may be making a big show in ensuring that the City is virtually painted in the language of the land. Yet, the zealousness to go Kannada in some spheres, particularly Kannada lovers who want to paint their motor vehicle registration plates only in Kannada letters and numerals, could be illegal. In fact, if one goes by the letter of the law, if vehicles bear plates carrying registration numbers only in Kannada letters and numerals, the plates can be termed defective. The vehicle owner can be penalised and even fined Rs 300. RTO Jayanagar, Shafi Ahamed, told Deccan Herald, “According to Central Motor Vehicle (CMV) Act (Rule 50, d), the letters of the registration mark shall be in English and the figures in Arabic numerals.” But the State government has issued a notification in 2001 clearly stating that besides adhering to the CMV rules, vehicle users can also go in for Kannada plates. This means that the vehicles can have two number plates – one adhering to the compulsory CMV rules, while the other sticks to Kannada. Will the City Traffic Police and RTO officials clamp down on vehicles with Kannada registration plates? The traffic police sought to pass the buck to the RTO. Sources in RTO said that a notification is getting ready asking the department officials and the police to clamp down on vehicles carrying registration plates only with Kannada letters and numerals.